Highlights from Room 7 WINTER 2017: On our week outside we walked to K.P. Park to go cross-country skiing. We all took turns skiing, most of us for the first time! We spent a lot of time playing in the snow using our Snow Saws. We also had some visitors during the week. One guest came to make us a shelter, teach us about animals, and build us a fire! He also gave us a weiner roast and we roasted marshmallows. The next day, another visitor came to teach us all about cold weather safety and winter survival on the prairies. Together we made a quinsy (snow shelter)! On the last day of our week outside we went on a field trip to the Festival Du Voyageur to learn more about the Metis culture. We saw a French concert, went tobogganing, and saw all of the snow sculptures. 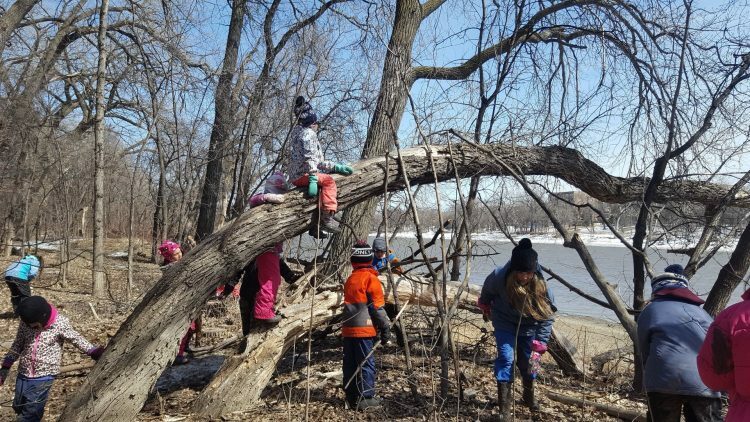 Click here to read more about their Week of Outside Learning in the Fall of 2017.